Long Beach Shutters the new fashion at Orange County Shutters. We are used to the 714 and 949, but however with the popularity of our custom wood plantation shutters Long Beach. And referrals from many satisfied customers we are expanding to the 562. Yes, Orange County Shutters has crossed the broader into LA County. We have recently had the opportunity to meet with a few clients. In a new development in Long Beach, CA and are looking forward to installing their new beautiful Long Beach Plantation shutters in the near future. These homes are beautiful already and with the addition of our custom wood plantation shutters they will make these new homes extravagant. 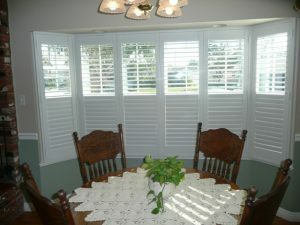 Feel free to check back with us in the near future for before and after pictures of these gorgeous Shutters. When they are installed on the new windows of the lucky home owners in the growing new community in Long Beach. The name Basswood is derived from the inner bark, or “bast” of the tree which was used by Native Americans to make rope. Basswood is one of the most versatile hardwoods available in the United States. Because its natural color is a light creamy-white and the wood is readily adaptable and moldable to almost any application. It is because of this versatility that Basswood is used in shutter manufacturing since it can be either painted or stained depending on the needs or desires of the customer.The light, natural color of Basswood Long Beach Shutters makes it very versatile when staining. Stain colors can vary from the lightest maple to the darkest cherry or oak color. No matter what stain color you have Basswood can be stained to match which gives you the beauty and natural variation of a hardwood combined with the ability to select the exact stain color that matches your décor.